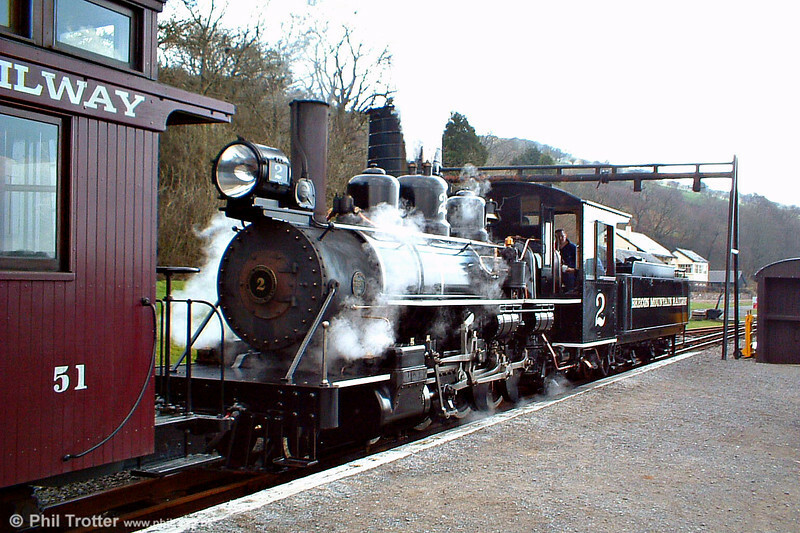 The Brecon Mountain Railway (Rheilffordd Mynydd Brycheiniog) is a 1ft 11¾in (603 mm) narrow gauge railway on the south side of the Brecon Beacons. It climbs northwards from Pant along the full length of the Pontsticill Reservoir (also called 'Taf Fechan' reservoir by Welsh Water) and continues past the adjoining Pentwyn reservoir to Torpantau. The 47-ton Baldwin Pacific on the BMR at Pontsticill. The loco was built in Philadelphia, USA and worked in South Africa before being wrecked in an accident in 1974. It was rebuilt at the BMR.